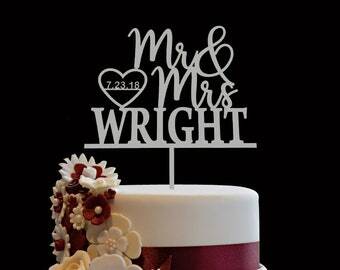 This cake topper is displayed on a 6" round top tier standard cake and the toppers size is roughly 6" by 6" but size can vary slightly depending on the last name. 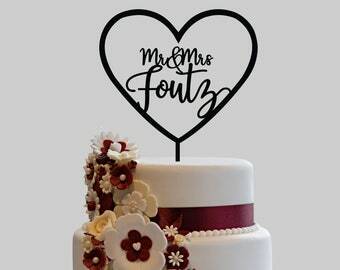 The cake topper is laser cut out of 1/8" premium birch wood. Black, White, Gold, Silver, or Natural Wood. Item will be packaged in a bubble wrap and shipped in a cardboard mailer. 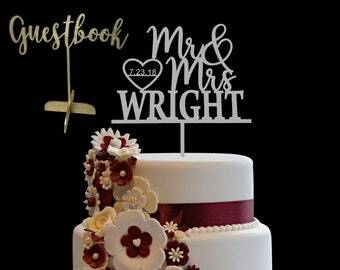 Please allow up to 3 business days for the cake topper to be made. Item will be shipped within 3 days after order has been placed. If a rush is needed please convo us before purchasing. 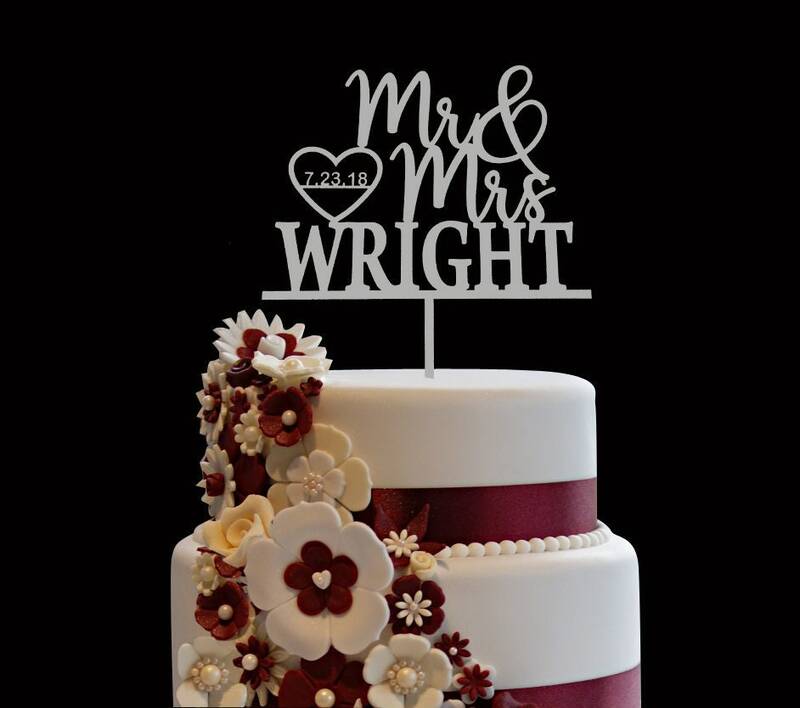 Super cute and will look great on our cake top! Received it really fast too. Thank you!! !